CAA has signed pianist Lang Lang in all areas, Billboard and The Hollywood Reporter have exclusively learned. The agency will handle his touring, soundtracks, digital content, endorsements, personal appearances and philanthropy, among other efforts. Lang Lang has risen to international fame through the combination of his classical chops and his flashy, pop star style. 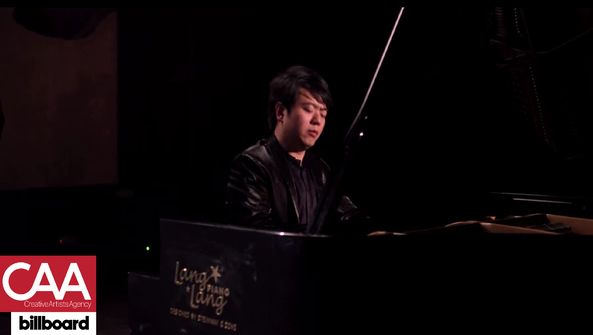 He's appeared onstage at the Grammys with artists as diverse as Pharrell Williams, Metallica and Herbie Hancock, and was himself nominated for best instrumental soloist in 2007, becoming the first Chinese artist to do so. As one of the most well-known classical artists today, he also performed at the 2008 Beijing Olympics opening ceremony at the 2014 FIFA World Cup final in Rio de Janeiro. Earlier this year, Lang Lang returned to Universal Media Group after seven years away, signing a long-term recording deal with the label. His 2008 autobiography, Journey of a Thousand Miles, has been published in 11 languages via Random House, as well as a version aimed for younger readers, Playing With Flying Keys.